After several false starts, the Silent Hill movie sequel is finally moving forward. 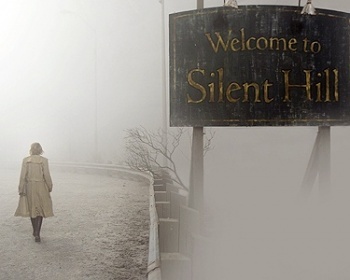 British film maker Michael J. Bassett has signed on to write and direct the sequel to the 2006 Silent Hill movie. Bassett's previous work includes writing and directorial duties on World War I horror Deathwatch, and last year's Solomon Kane. The movie's working title is Silent Hill 2: Revelation 3D, which will hopefully change before it gets to theaters. The movie will follow 18-year-old Heather Mason, who, along with her father, has spent her whole life fleeing from something that she doesn't understand. After her father goes missing, she learns that she isn't who she thought she was, a revelation that threatens to trap her in Silent Hill forever. If that sounds familiar, it's because it's basically the plot of Silent Hill 3, with a few tweaks here and there. In a recent blog post, Bassett talked about a new script he was working on that he described as "Constantine meets The Expendables." Whether this was a reference to his Silent Hill script isn't clear. It's certainly doesn't sound like a Silent Hill script, but we don't really know how closely Bassett is planning to stick to the source material. The news that the movie will be shot in 3D is a little troubling, but it's much too early to make assumptions about how the effect will be used. Christophe Gans, who directed the first Silent Hill movie, announced that Sony Pictures officially ordered a sequel in 2006. The project was "stalled" when the man originally hired to direct it, Roger Avary, was jailed for a year after being found guilty of vehicular manslaughter. Producer Don Carmody said that he had a rough outline for the movie, and it would appear that Sony has elected to take that outline and hand it over to someone else, rather than wait for Avary's release. It seems unlikely that Silent Hill 2 will come out before 2012 at the earliest, as it would appear that the production is starting from scratch.